My rating is 5+ out of 5 stars! In the Mended Hearts Series, readers are introduced to a fictional town, characters and story. 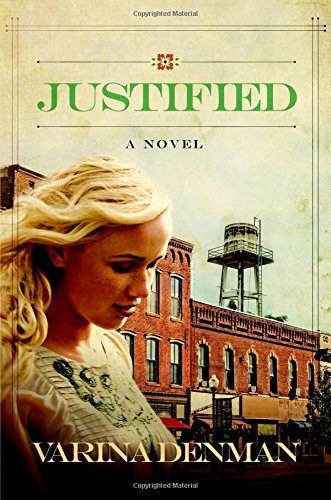 Now, in the sequel, Justified, the story is even more captivating and wonderful to read! In the novel, readers are focused on Fawn whom we met last time in the story of Jaded. This story presents to the audience a tale of broken hearts, broken lives, wrestling with faith, as well as suspense, thrills, and many surprise twists in the plot. The best part of the novel is that it is written as if these fictional people actually have flesh and bone. The characters are perfect; they make a whole spectrum of mistakes and in the end a couple of them learn about redemption. Justified is a continuation of the story begun in Jaded, and the issues that plague various characters can be found in the real world. I traveled an emotional roller coaster as I followed the acts, thoughts and speech from Fawn, John Scott, and more. Underlining the suspense is the question of how something that happened in the past has affected the present and maybe the future of a select few of the inhabitants of the small town. Above all is the journey some take in learning to believe that God is Who He says He is, and His love is unlike any ever known. In the pages you will read how the antagonists tend to ride herd on whomever they choose to focus on in the town. Of course, there were a couple of surprises revealed that I never saw coming the further I delved into the book. I grew up in a larger suburb of a big city while my husband grew up in a very small town, so I learned firsthand how news travelled or people were treated according to their actions or lack thereof. When I came across some action scenes where small town life was described, I found it amazingly accurate. I don’t know when the next book titled, Jilted, will be released, but I sure hope it is very soon as I am wrapped up in the story so deep, I just need to know what comes next for Fawn! Fictional books like Jaded and Justified don’t come around all that often, so grab a copy and get comfy. You’re about to embark on a journey that captures the heart and mind of all who are willing to travel to a small Texas town.